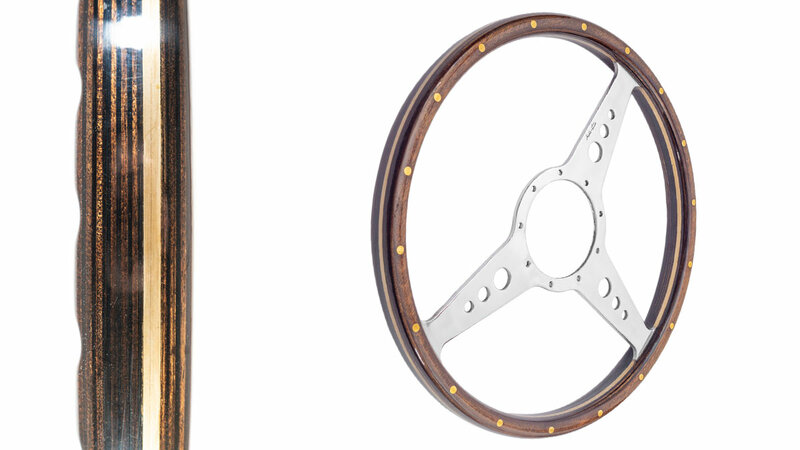 New Austin-Healey Moto-Lita Steering Wheels! 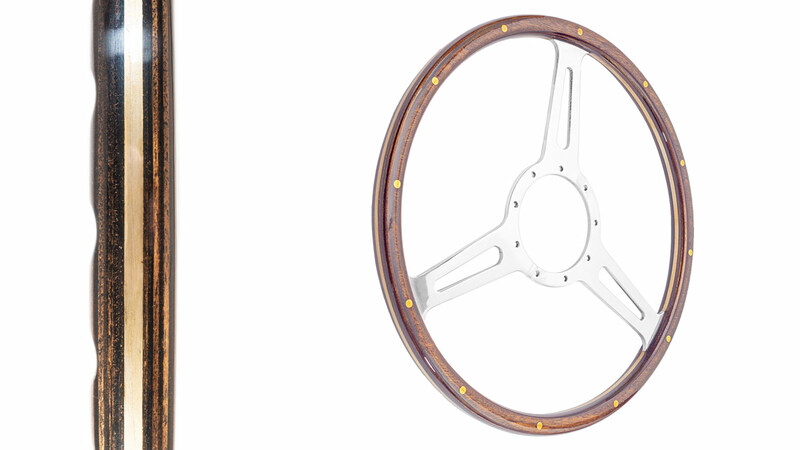 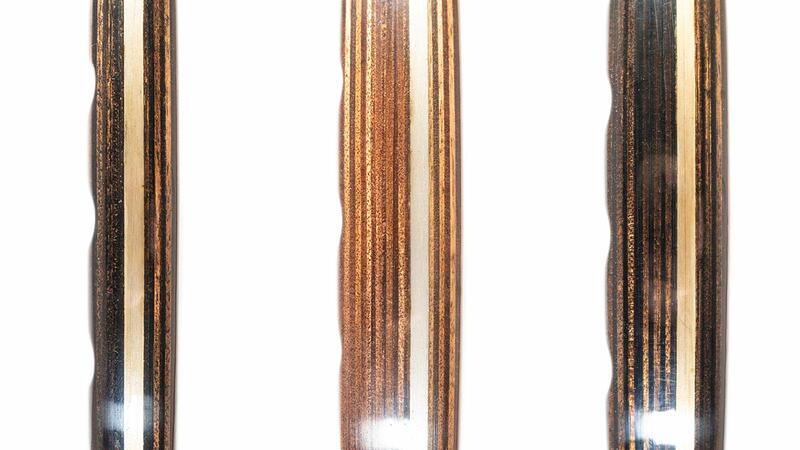 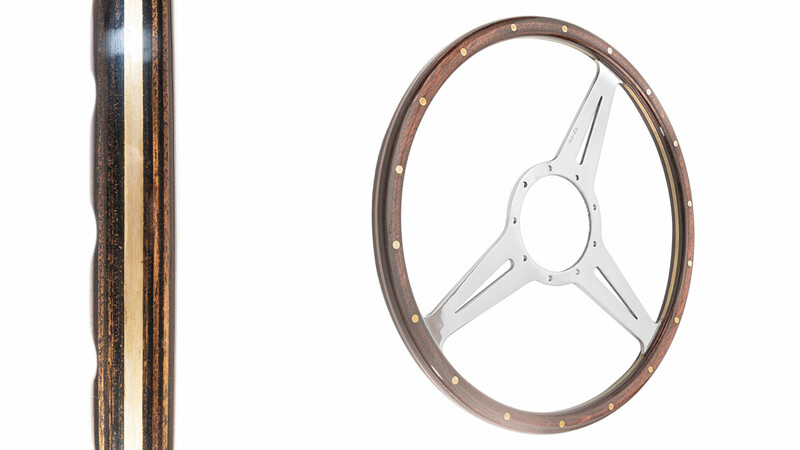 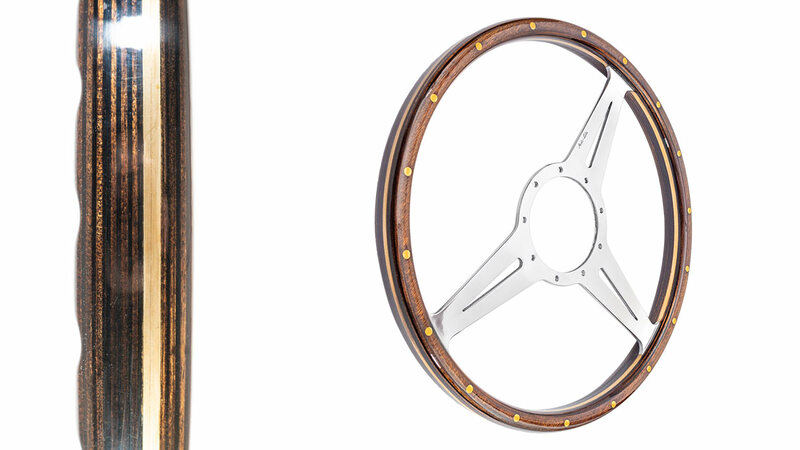 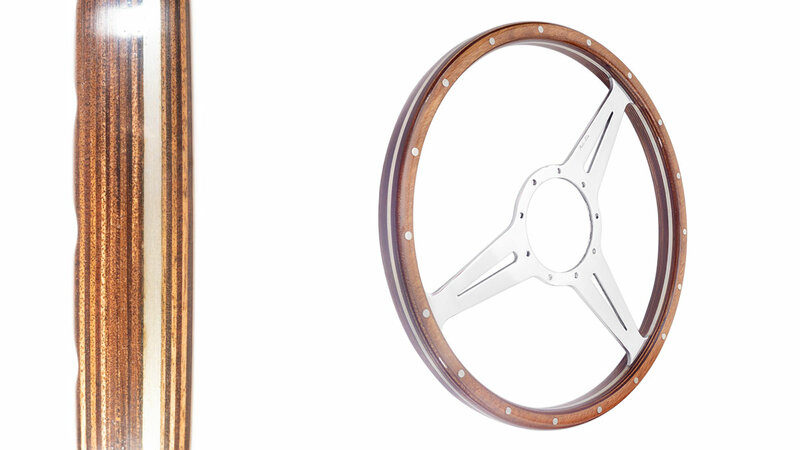 New additions to our Moto-Lita range are these thick grip and the dark stain option steering wheels. 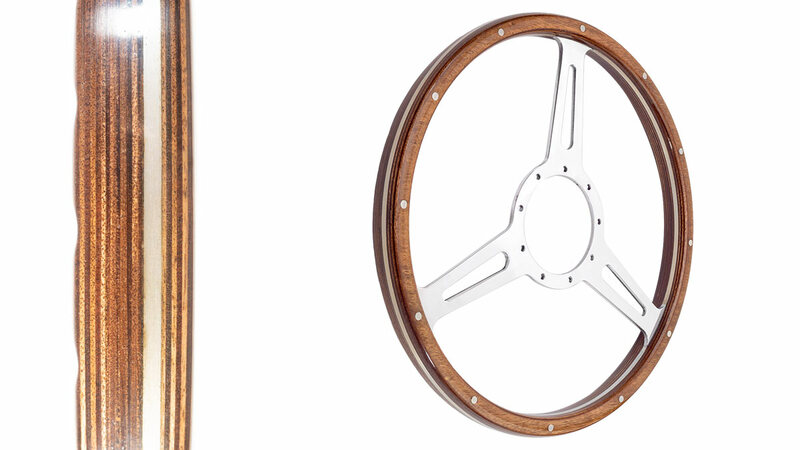 I must admit I was a little dubious when I was first shown the thick grip wheels but as soon as I picked one up, it just felt right. 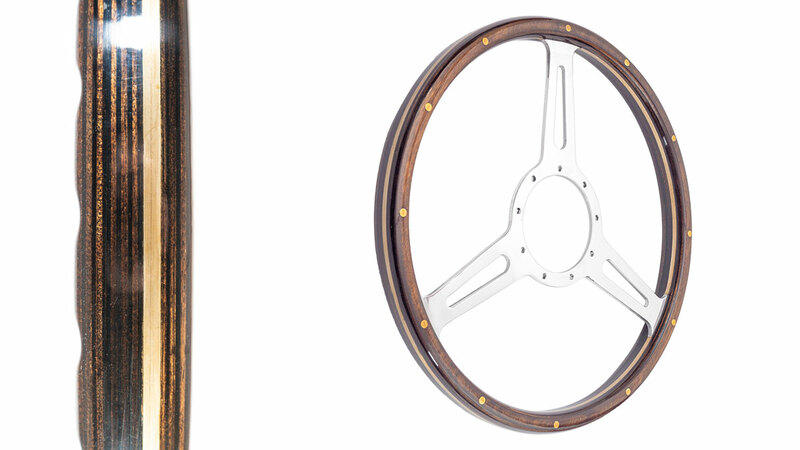 I was so impressed I will be fitting one to my BN7. 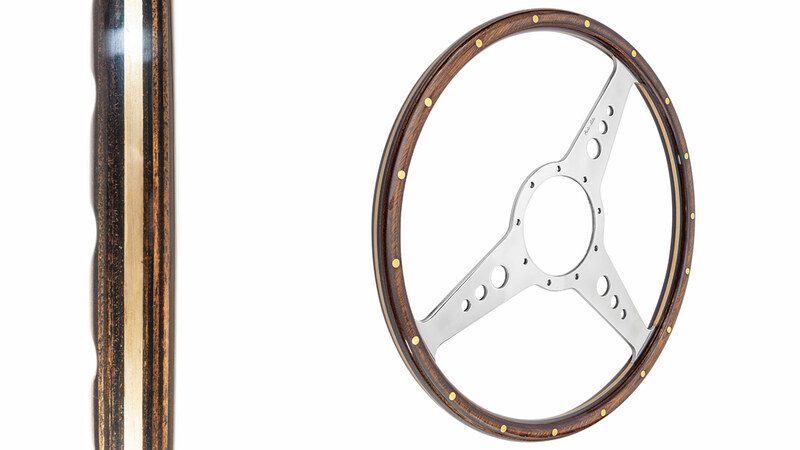 Our new range includes the drilled, slotted and Derrington style spokes so you really are spoilt for choice when looking for your the Moto-Lita steering wheel to suit your style. 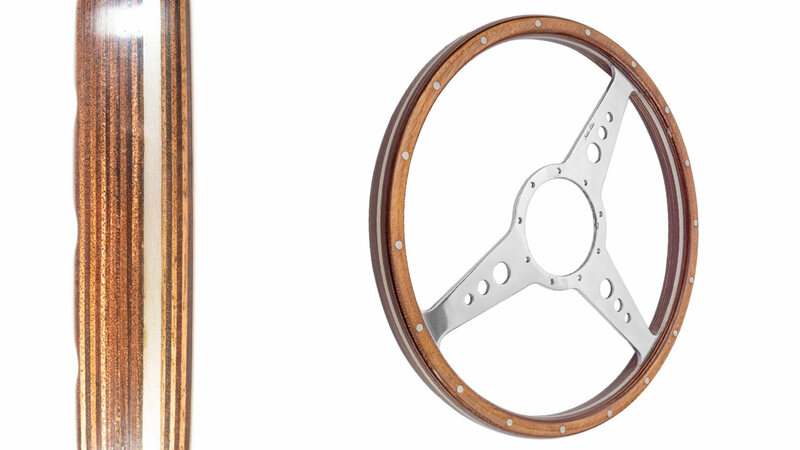 Our high ratio steering columns and cams are ideal for fast road and competitive use as they more sensitive, requiring fewer turns on your steering wheel for a better response. 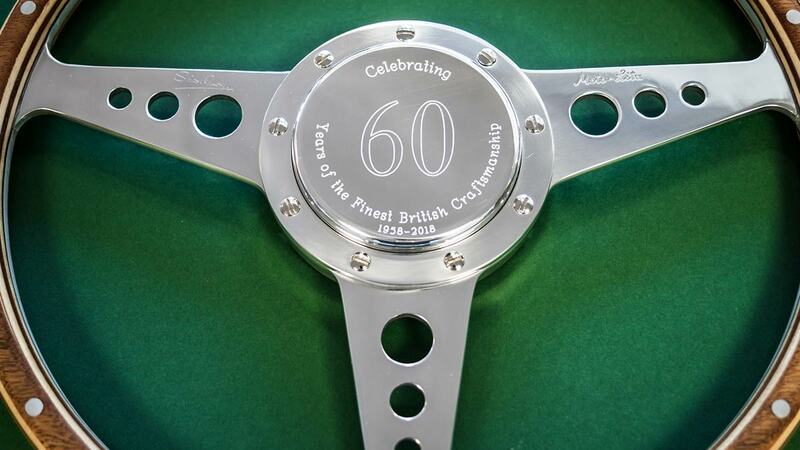 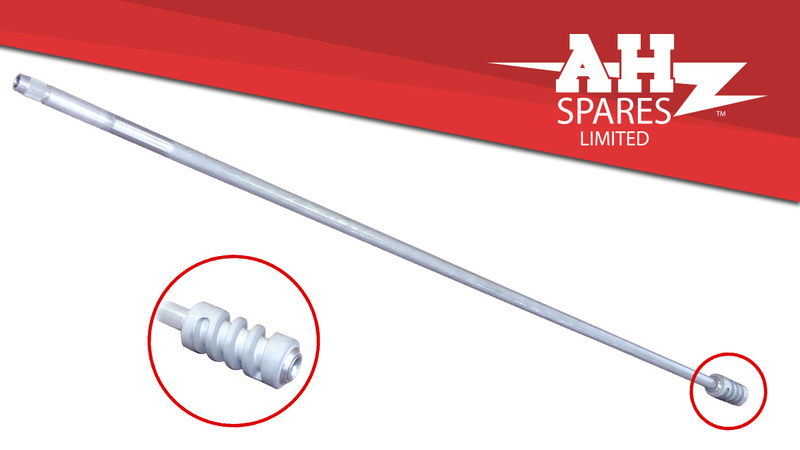 Moto-Lita are celebrating their 60th anniversary in style, and A.H. Spares Ltd receive a very special gift. 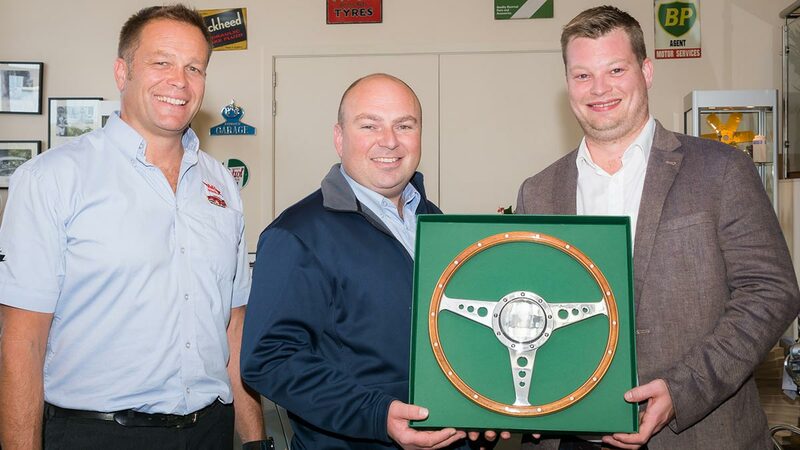 We were delighted to receive a visit today from Chesca Ferguson and Marcus Poole from Moto-Lita Ltd who presented us with this stunning 60th Anniversary Moto-Lita wheel to celebrate the company's 60 years in business. 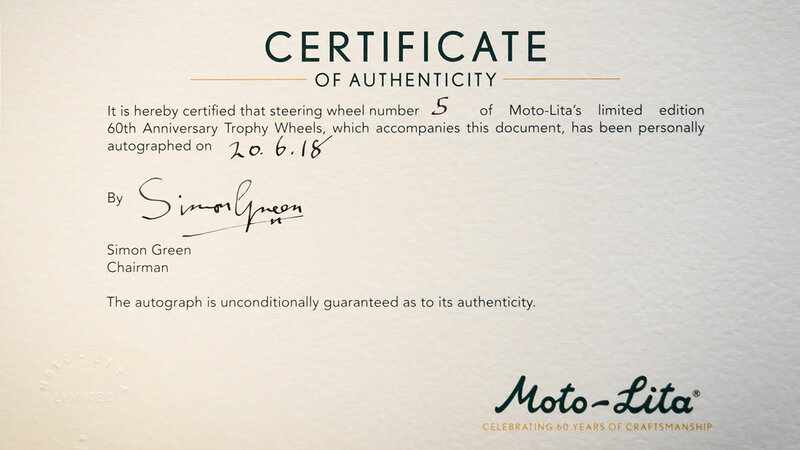 Only a very small number of these Moto-Lita wheels were made and we are extremely privileged to receive #5 out of a total of 60! 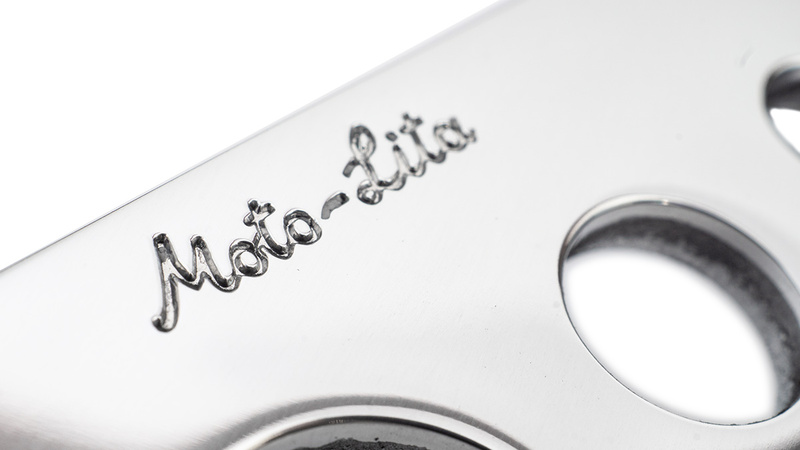 The signature of Simon Green - the founder of Moto-Lita in 1958 - is engraved on the left spoke, making this batch unique. 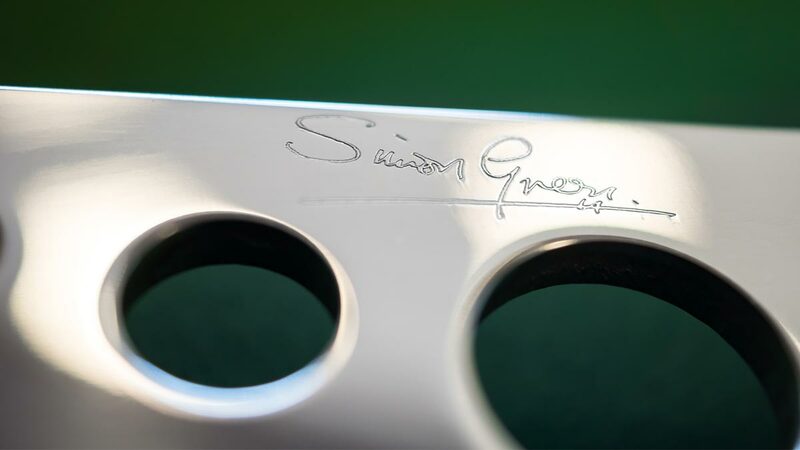 Simon and Fred Draper (our founder) had a very close friendship that dates all the way back to the DHMC, and we are honoured that our two companies still enjoy strong ties today, 60 years later.